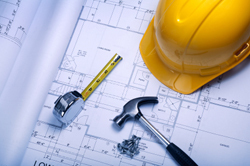 Our attorneys also have extensive experience handling various types of construction and construction defect litigation matters on behalf of homebuilders, contractors, general contractors, and various types of subcontractors. Our experience includes defending numerous types of cases involving claims based upon the failure to adhere to plans and specifications, claims of defective foundations, plumbing defects, electrical defects, roofing defects, E.I.F.S. claims, claims arising out of utilities construction, and many other types of construction defect claims.